I Just Got Invited to Use Sunlight, Now What? Congratulations! You've got Sunlight :) Now learn what to do next so you can take full advantage of it. 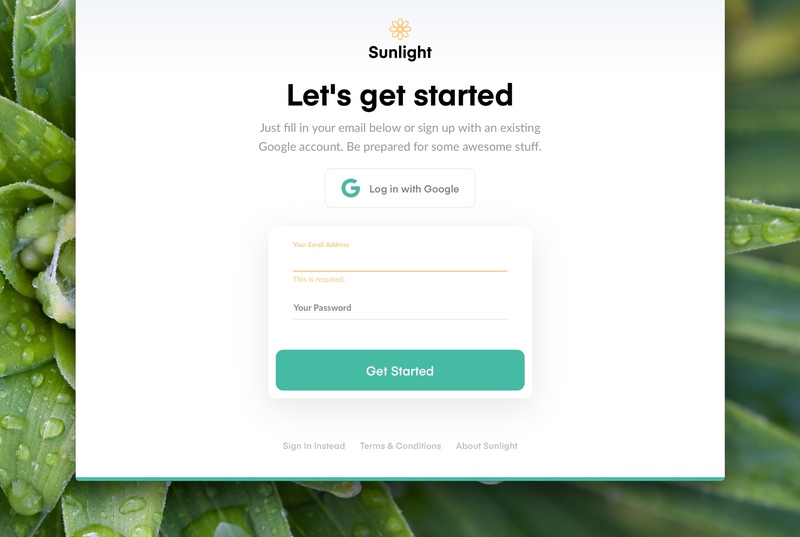 You recently got an email inviting you to join something called Sunlight, and are probably wondering what on Earth your company's asking you to do now. You could log in with Google or complete the information requested and click on "Get Started." Either way, once you're done you are in and you will be able to start spending your Sunlight! It may happen that your invite got lost and/buried in your inbox and by the time you find it and want to log in, the invitation has expired. If this is the case, please email us back to one of those emails and we will sort you out in a jiffy. You needn't worry, your Sunlight will be safe and waiting for you when you do join. Once inside, you might want to edit your settings to make your account as personal as possible and get the best experience. To do this, click on your profile picture located at the top left side of the page (it will be a random photo at this point). Once there, clicking on the small icon in your photo will allow you to upload any photo of your preference. If you click on “Settings” you will find all the fields you can fill in to personalise your account. We encourage you to fill as much of the information as possible, for us to be able to help you get the most out of your learning and development allowance. Under "Settings," you will find basic things such as your name, email and address, which we use for deliveries of physical books. You will also find spaces to put in your bio, your work title and the role you have in your company, these we use to make suggestions of resources in your area that might pique your interest. By scrolling down, you will be able to change your password and edit your currency settings to reflect the currency of your preference. Now that you've joined Sunlight and personalised your account, you will want to start spending your budget and are probably wondering how. This short article will walk you through Creating a New Request and, when in doubt, you can always ask the Concierge: our support team is always available and happy to help. We hope this clears any questions you may have. 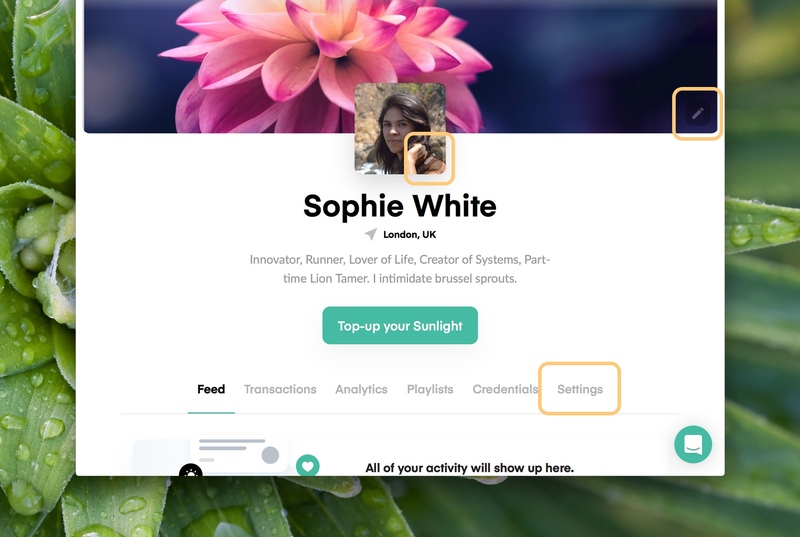 For further information, please do not hesitate to contact us via support@sunlight.is or directly through our Concierge feature, which you can find on the right-hand bottom corner of your screen on our platform. Welcome to Sunlight!